I am always on the lookout for toys that get my kids’ minds working and their imaginations flying. We have found the perfect puzzle that does just that and it doesn’t end once the last piece has been placed. A toy that utilises both their mind and imagination is a winner in my book and I am sure in yours too. Krooom have been creating eco toys, puzzles and playsets since 2006. Not only do they design toys that are healthy for our kids’ minds, they are also passionate about keeping it green by using laminated printed boards with waterproof coating. Krooom make sure all products are 100 percent recyclable and even use 60 percent post consumer paper. 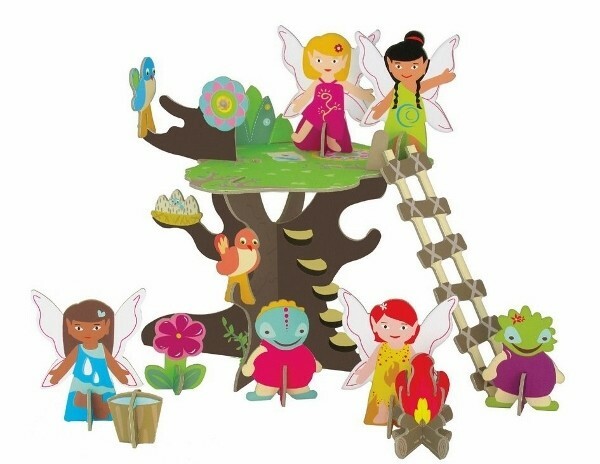 I have noticed my four-year-old thrives on creative fun and I am certain she would love Krooom’s fairies tree 3D puzzle playset. No tools are needed so your child can easily slide and stack the pieces together, forming a sturdy and secure construction for all the included fairy friends to enjoy. Priced at $30, the playset packs away neatly in its own adorably designed carry bag. It’s not too late to add this knightly castle to the kid’s Christmas list which is sure to leave them impressed. After they put their minds to work while building the magnificent Arthur knights castle, they will then want to spend hours playing with their new creation. The castle has lots of fun moving play features, including a drawbridge that can be lowered and raised. 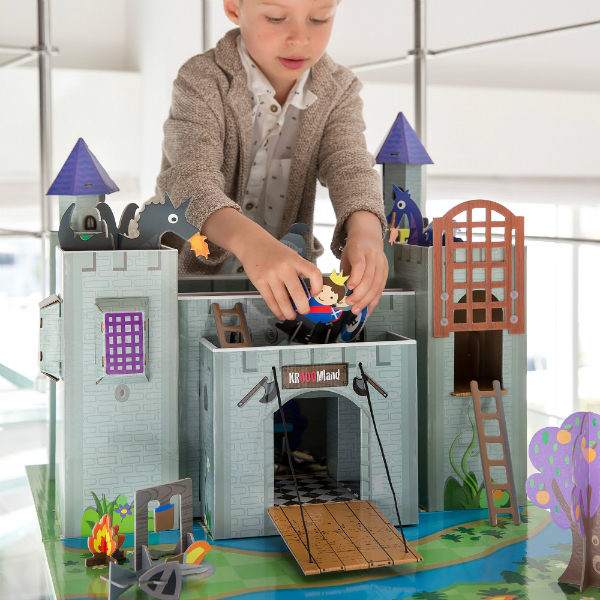 The playset also comes with hidden treasures and accessories, taking them to a world of dragons, missions, castles and knights. It’s durable, strong, eco friendly and each piece fits together precisely. Standing at some 45cm tall and 60cm wide, the castle is priced at $50 and is perfect for kids play without taking up too much space. Find both playset puzzles online from local stockist Toys R Us.